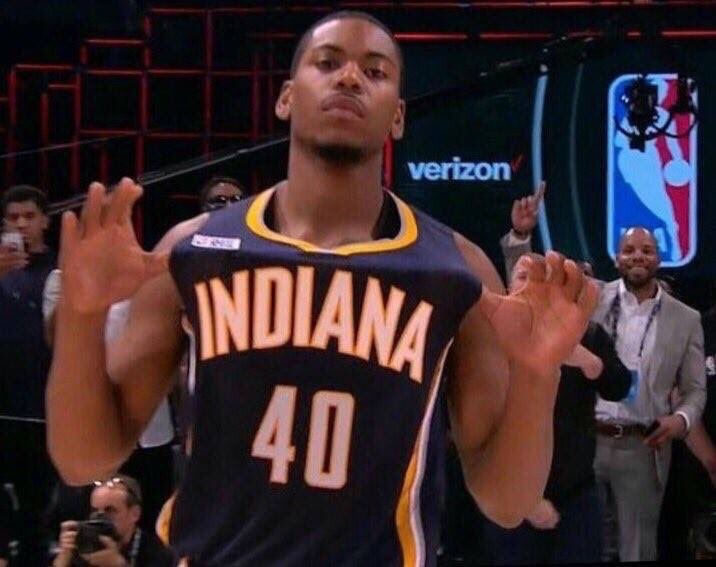 Glenn Robinson III knew he wasn’t expected to win last night and tweeted about shocking the world in the weeks preceding the contest. 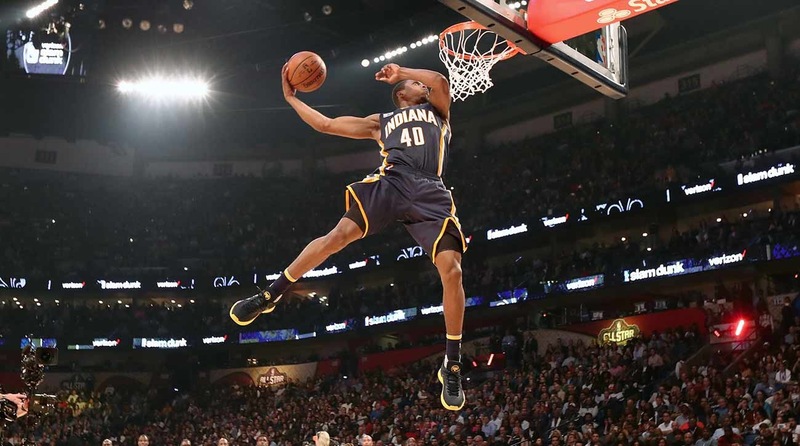 Mission accomplished: Glenn Robinson III won the dunk contest over Derrick Jones Jr., DeAndre Jordan, and Aaron Gordon. Here’s a look at all of Dunk Dog’s slams and the other competitors top dunks in the contest last night. 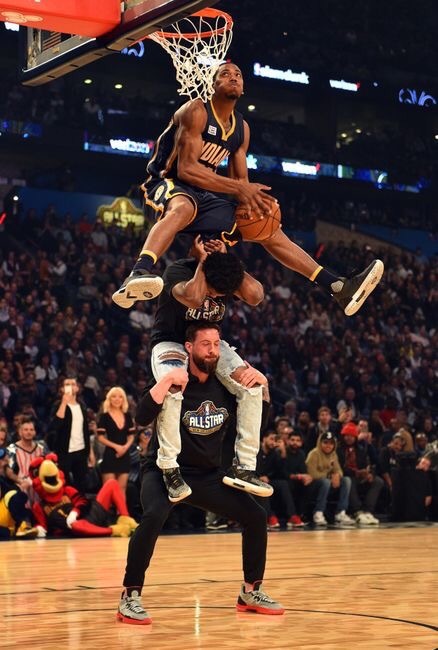 Dunk Dog’s speciality was jumping over people. His first dunk was a nice display of showmanship as he faked like he was ready to go and then made it a little harder two times before going up and over two guys. Robinson immediately showed that he was here to win as he looked to camera after this dunk as if to say, “What are you surprised?” The judges gave him a 50. GR3’s next dunk was an underrated effort where he did a 360 windmill with a dab at the end (bit of a Dee Brown ode with the dab). The replays made this one better than it looked originally. King Glenn III jumped over Paul George on his third dunk and probably least impressive of the night. Still earned him a 44 and after Jones Jr. failed to make his first dunk, GR3 had an easy path to victory. Robinson finished off the contest as it should be with a 50 to crown himself as king. He jumped over Paul George, Boomer, and a Pacemate and dunked the ball reverse. This was the second dunk where it looked like he was going to hit his head on the rim. We’ll have an all-time Pacers dunks in a dunk contest ranking for you later on today. GR3 is sure to be on the list.